Smarter people decisions with collective intelligence. Check. 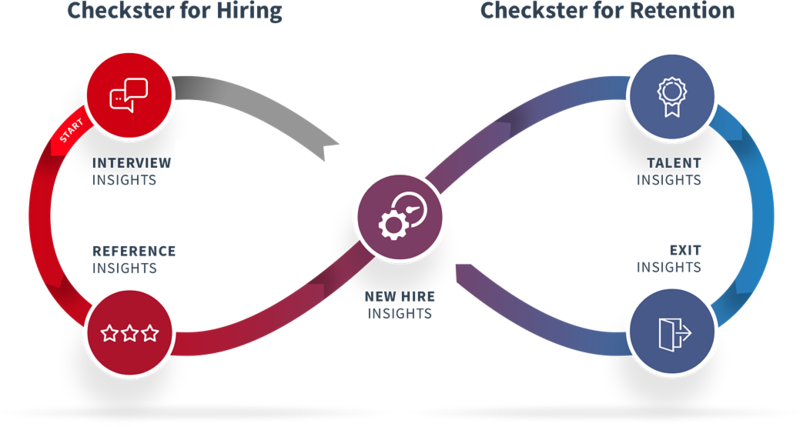 Checkster empowers talent and team leaders to make better hiring decisions, and improve engagement and retention. Automate processes and use collective intelligence to gain powerful insights to feed directly into improving your hiring processes and retention strategies. Get a new view on your talent to increase engagement and improve retention. Supercharge your recruiting with powerful data to make faster, smarter hiring decisions. Connect your hiring decisions to performance and retention by measuring quality of hire to inform your onboarding changes. 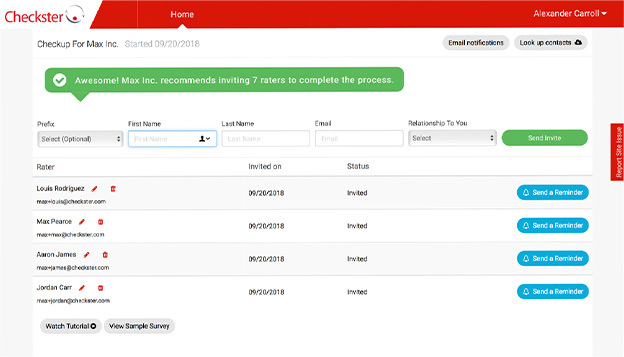 Empower team leaders and managers to proactively check in on their employees' performance with easy-to-administer check-ins. Remove bias, ensure compliance and get to an answer faster by automating the interview debrief process. Stop chasing down phone references and go digital: Use collective intelligence to make smarter, data-driven hiring decisions. What strategies and technology can help you not only measure but improve quality of hire. 60% of companies cited identifying quality hires as the top challenge they are facing in the next year. "Checkster enabled us to transform a red tape process into an efficient, useful and 100% compliant step." "I believe Checkster represents a game-changing technology and approach." "Knowing if your candidates become a great quality hire is the feedback loop that any recruiter needs. This is exactly what Checkster provides us in order to become a true talent adviser." "We're now uncovering insights, like the percent probability of re-hire. That's the beauty of Checkster -- we've got aggregated candidate data now that we never had before." "Checkster helps us show candidate quality in a way that we couldn't do before." "My team really enjoys the format of the reports they receive. Both the volume and the quality of information we've received has improved with the Checkster process." Better people decisions with collective intelligence. Check.